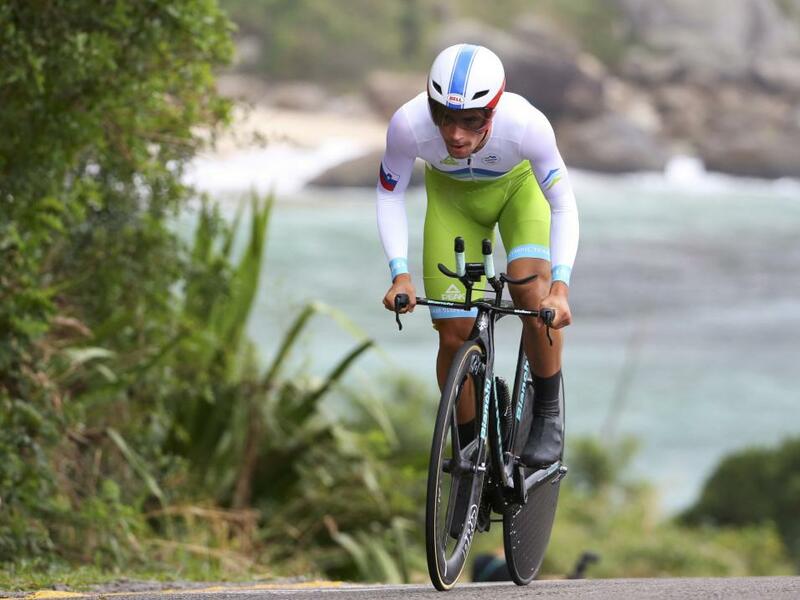 "There is a lot of interest in ski-jumper-turned cyclist Primoz Roglič, who has shown his time-trialing prowess over flat, prologue stages.."
A pan-flat time trial over 14km with few technicalities. Aside from eight corners, only two of which are significantly slowing, the riders will be at their limit throughout, attempting to break Rohan Dennis's Tour De France record, when he averaged 55.446kmh on the opening stage in 2015 around Utrecht, on a similar (but slightly more technical) course to that which riders face today. All eyes are on Tony Martin at [3.00]. The pre-eminent time trialist of the last decade, the script has been written by organisers to have a German in Yellow at the end of the first day. I'm a layer at those odds, though, as Martin hasn't been at his best this year. Although winning the German national title at the weekend, that was a relatively weak field. When faced with stronger fields, he has been consistently bettered this season, by the likes of Richie Porte, Mathias Brandle and Jonathan Castroviejo. What's more, he's never won a time trial of this type at the Tour, with his stage victories coming over longer clock-efforts or in breakaways. There is a lot of interest in ski-jumper-turned cyclist Primoz Roglič, who has shown his time-trialing prowess over flat, prologue stages, such as when winning stage one of Ster ZLM; as well as hillier, longer efforts, such as stage five of the Tour of Romandie. There seems little between his form and that of Tony Martin, so at the bigger odds of [3.85], Roglič seems the better bet. Whilst the expected story of the day is a German win for Martin, it would be unwise to rule out Marcel Kittel from making a prominent showing. It's worth remembering that he joined the professional peloton as a time trialist and, with a sprinter's stage to come the day after, with 10 bonus seconds available in the General Classification, he may be motivated to give himself a shot at Yellow. I wouldn't put anyone off a top-three bet at around [20.00]. Many are predicting a strong showing by Richie Porte at around [60.00] based on his time trial win at the Dauphine. That was over much further, though, and whilst I can see him taking a few seconds out of his General Classification rivals, I doubt he can generate the power needed to win this. Jos van Emden ([7.40]) finished close behind Rohan Dennis at Tirreno-Adriatico over a similar test, and can go close, and Stefan Kung ([8.80]) has been up-the-field in a number of efforts this season, and will likely be towards the front again, as will Castroviejo at around [22.00]. Although short, it's worth remembering that the similar 2015 opening stage saw 30-second gaps among the first ten finishers, and a minute separating the first 50. It would be wrong, then, to assume this will have no effect on the General Classification. A Yellow Jersey contender could easily lose upwards of 30 seconds to their rivals and the likes of Nairo Quintana, who is weak against the clock, and Chris Froome, who was uncharacteristically below-par on the time trial of the Dauphine, will need to be firing if they're not to handicap themselves right from the start of the race to Paris. *Odds are recommended, based on advertised prices at the time of writing.